What a line up! 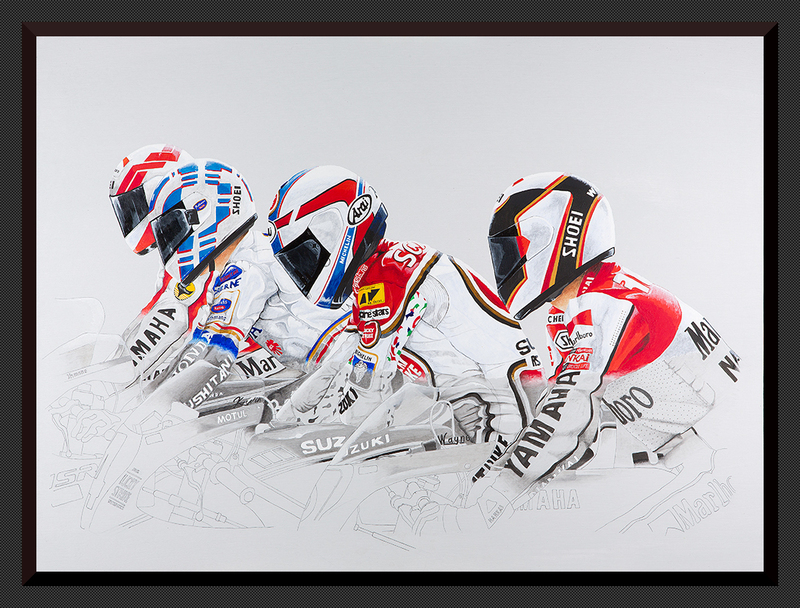 From the golden age of 500cc racing we have Eddie Lawson, Wayne Gardner, Kevin Schwantz and Wayne Rainey. The last seconds of peace before the lights turn to green and the battle begins again.